Be a Hero in Your City or Office – Start Recycling in Massachusetts Today! Recycling is one of those things that everybody knows about, but not everybody does. You see it on TV, read about it in magazines and read stories about kids who collect cans and do some pretty amazing things with the proceeds, but what about you? How can recycling make YOU into a local hometown hero? There are two ways that you can bring recycling to your town or business – and Mid City Scrap Iron & Salvage can help. Many businesses and towns overlook the potential revenue aspects and reduction in landfill waste that come with starting a local recycling program. Putting Your Town on the Map! In addition to creating a new source of revenue for your municipality, there are lots of other side benefits as well. Residents appreciate having a convenient method for discarding unwanted items such as aluminum cans, scrap metal, appliances, computer hardware and DIY or renovation materials. If your city collects a lot of recycled items on a regular basis, Mid City can provide specialized storage bins to use during collection and will schedule regular pick-ups to ensure that your recycling areas stay neat and clean. A recycling plan can be formulated to help you increase your ability to sell scrap metals in Southcoast Massachusetts and make even more money in the process. We will come out to your location and do a complete consultation and evaluation, sharing with you ideas that will help you make more money from your scrap metal. We will take a look at your current situation, help you find innovative ways to get the locals involved. Starting a local recycling program can be a real asset to your community. How much waste does your business produce in a week? How much in a month? Keep an eye on the trash can in the break room, cafeteria or office recepticles and you might be surprised to see how many cans, bottles and other recycle-able items are thrown out each day. Adding a simple “aluminum only” bin to your break room could make a real difference. Beyond the break room, there are other areas in business that could benefit from recycling their materials and reducing their waste. What type of business do you do? Shredded paper, cardboard boxes and other office supplies can all be collected, processed and then re-used. 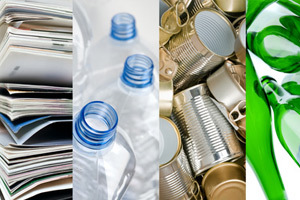 If your business works with plastics or metals, your scrap materials could be worth even more. Starting a local recycling program at your office or business could be a very profitable solution. There are many reasons to recycle. Scrap metal and other materials are recycled and used to create new products, making everything you recycle extremely useful and valuable. This makes it profitable for individuals, professionals, business owners, sub-contractors, municipalities and just about everyone to bring or collect scrap metal and other materials. As a business owner or person in charge of local municipalities, you will not only look like a hero for starting a local recycling program for your residents, employees or co-workers, but you will also be doing your part to help your local community. The revenues that come from selling scrap metals in Southcoast Massachusetts (New Bedford, Fall River, Wareham, Westport, Dartmouth, Fairhaven, Marion) will definitely benefit your organization, but you are also creating an opportunity for others to become more aware about the items they discard and to participate in your recycling program. When these recycled and processed materials re-enter the manufacturing or industry businesses in your local area, they also help to reduce overhead and ultimately costs for consumers. Once again, this will help to benefit the people of your community by ensuring that these materials are available for use at a more affordable cost. Give Mid City Scrap Iron & Salvage a call at 508-675-7831. We will set you up with a free consultation to identify your needs and maximize your results. Our experienced and knowledgeable staff can help you create a custom recycling program for your municipality or business that will become a benefit to all involved. ← Where Can I Sell Scrap Metal on Cape Cod?